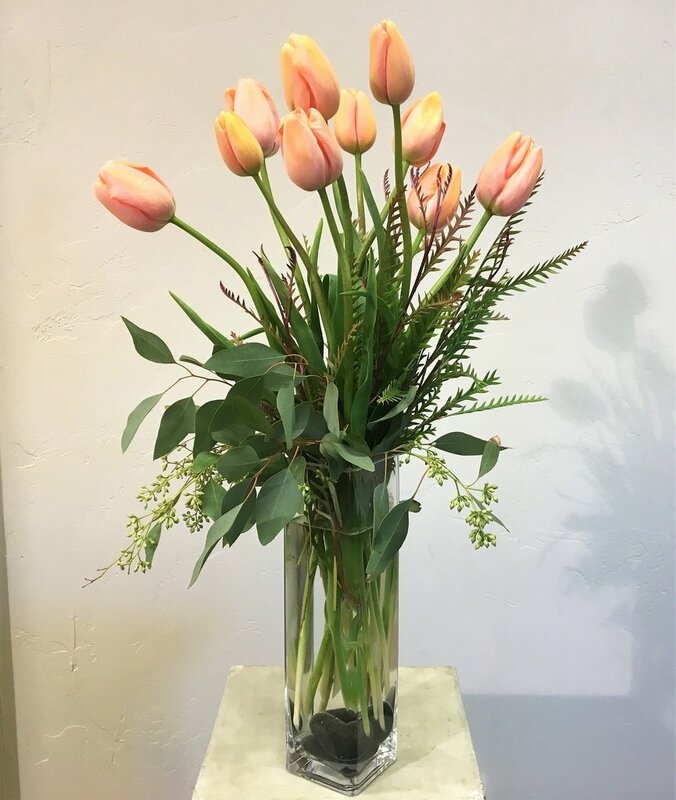 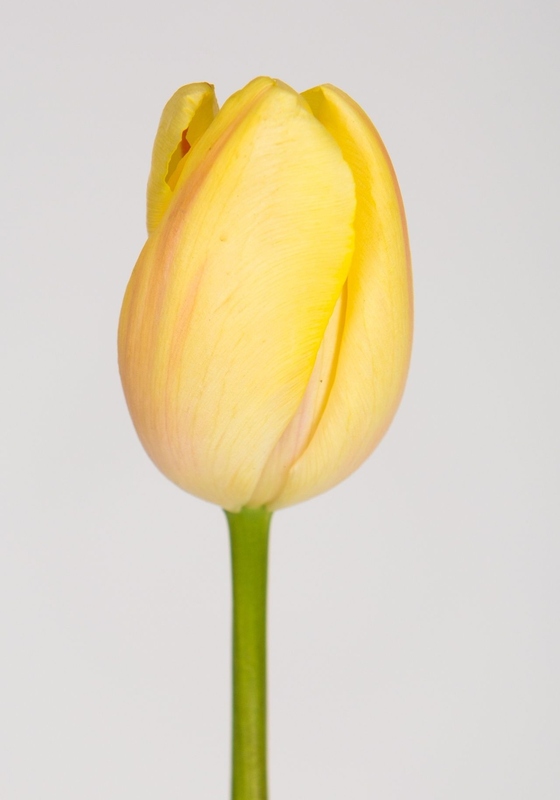 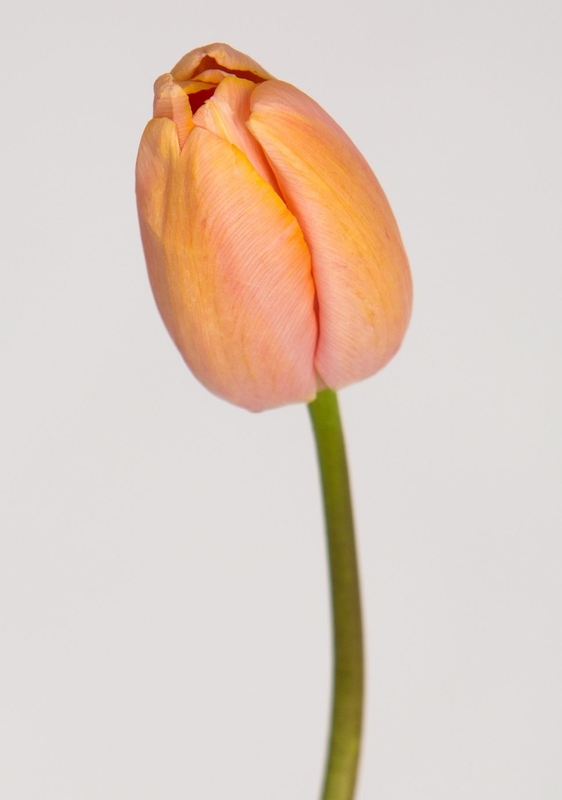 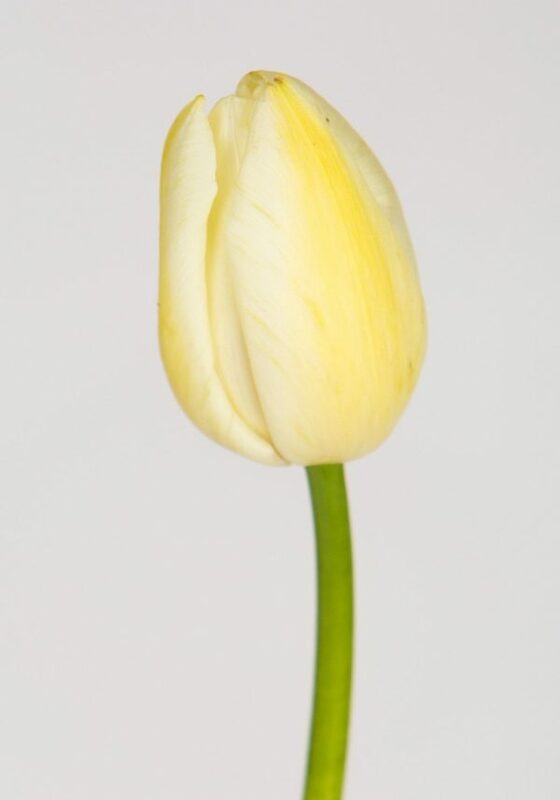 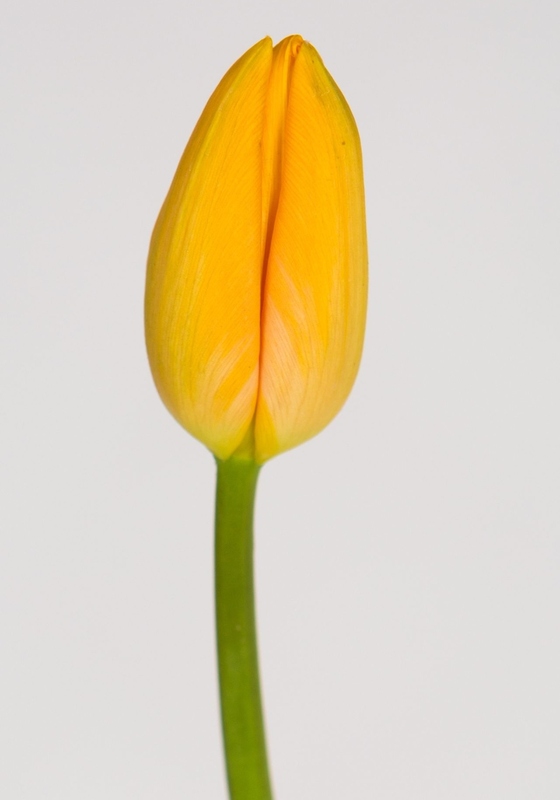 French tulips are elegant, strong, tall stems with long vase life and delicate colored blooms in a range of sunrise colors; white, yellow, peach, pink, orange, rouge. 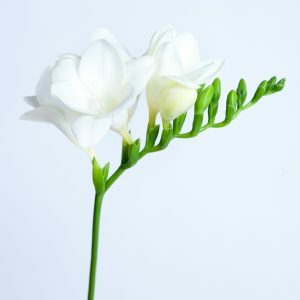 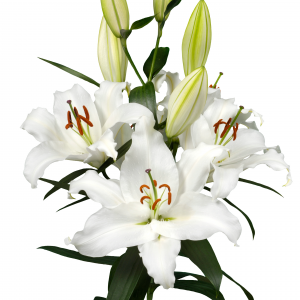 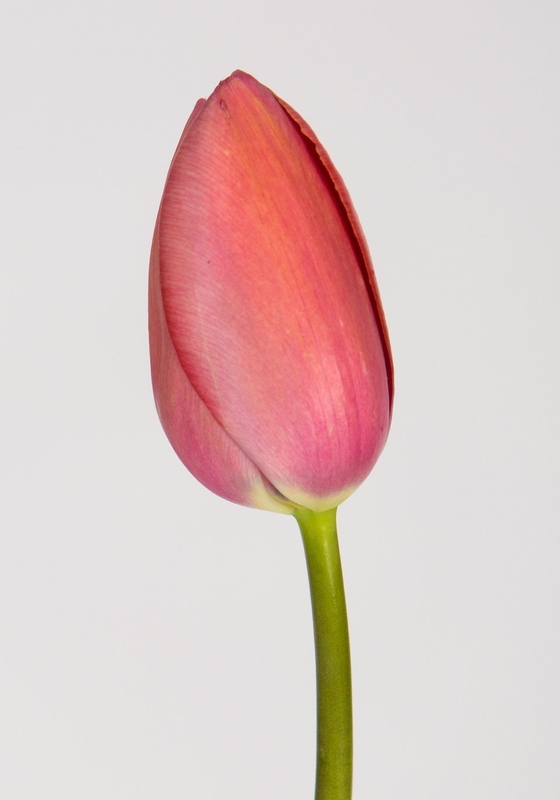 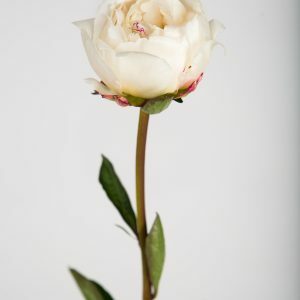 Stems are at least 22 inches long and bloom size is an average of 2 to 3 inches. 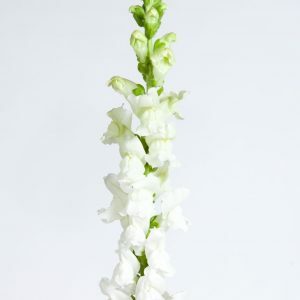 10 stem bunches ship 10 in a quarter box, or 20 in a half box.